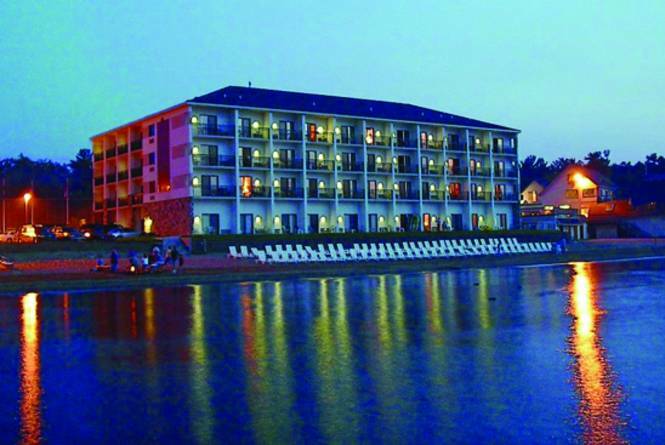 80 rooms on East Grand Traverse Bay. All include refrigerator, 25" TV with cable & HBO, coffee maker, hair dryer, irons/ironing board, radio/alarm clock, in-room safes. 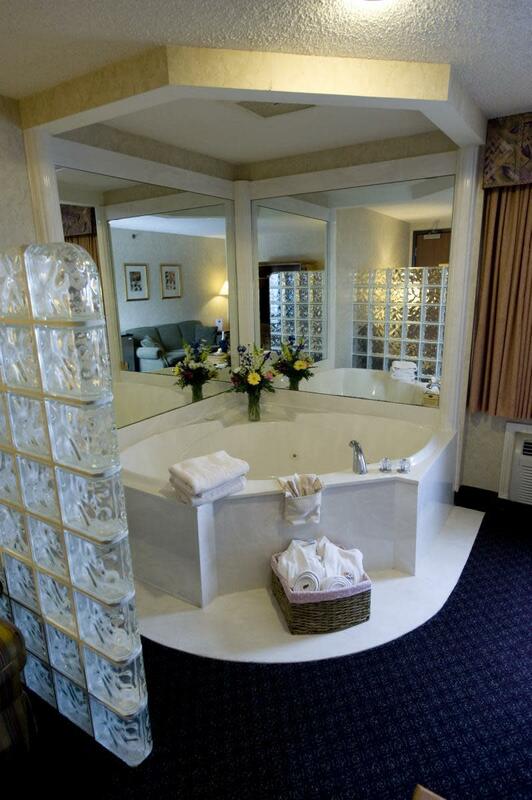 Deluxe whirlpool, fireplace, efficiency suites and business class rooms. Amenities include cocktail lounge, indoor pool, whirlpool, video arcade, high-speed Internet, guest laundry, fitness room. Walkout patios on first floor, private balconies with views of the bay on upper floors. Enjoy the beach with BBQ grills, Snack Shack, volleyball, bonfire pit, on-site jet ski, para-sailing, boat rentals. Check the web site for specials and packages.